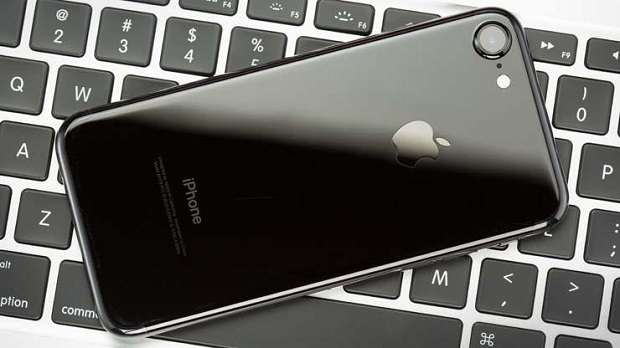 #Apple is a company known for releasing some of the best smartphones in the market. The #iPhone7 for example which was released last year is one of the best smartphone that you can get today. It comes with a powerful hardware that promises a smooth user experience. It also has several great features such as waterproofing and an impressive battery life. Although a lot of people are using this phone as their reliable daily driver without experiencing any issues there are instances when certain problems can occur which we will be addressing today. In this latest installment of our troubleshooting series we will tackle the iPhone 7 wouldn’t turn on issue & other related problems. Problem: Hi, I have an iPhone 7 (that I have had for about 5 months) and today it randomly just wouldn’t turn on, even though an hour before it was working great and had a 70% charge. I tried hooking it up to several different chargers to no avail. After I gave up it was sitting next to me on the table and the apple logo that flashes on when it’s powering on flashed on to the screen but almost as soon as it had flashed on it flashed off. It’s been going on like that for the last 3 hours now. I have it hooked to a charger again and it’s flashing more regularly now but still that is all. Sometimes the apple logo appears for longer sometimes barely at all (instead sometimes the screen will just flash dark blue with no apple) but no matter what it always goes back to black. Sometimes it will flash on and off like that (between black, blue, and apple) a ton and then not at all for awhile and then at a more consistent pace and then like crazy again and then not at all, and it just repeats that random cycle. What ,isn’t the problem be? I have tried to restart by holding the lock and the volume down buttons together but nothing changed. Please help! Related Problem: I have bought a new iPhone 7 a week back and was working till yesterday (06/03). At times phone was getting over heat and restarting. Yesterday I observed that phone is continuously restarting and not booting up. After 4 to 5 continuous restart attempt phone became dead and not even trying to start. I tried Soft reset option but no display. Could you please help me to get a resolution please? Thanks in advance. Solution: What you will want to do first in this case is to make sure that the battery has sufficient charge. To do this you need to charge your phone first for at least an hour. If the charging indicator is not present then you need to perform the troubleshooting steps listed below. Once the phone charges try forcing a restart by pressing and holding both the Sleep/Wake and Volume Down buttons for at least ten seconds, until you see the Apple logo. If the issue persists then you will need to reinstall the phone software using iTunes. If the above steps don’t fix the problem then you should bring your phone to a service center and have it checked. Problem: My iPhone 7 won’t charge. I’m at 4% battery life. I attempted multiple outlets and I also turned off & turned on the device and battery still will not charge. Please help. Related Problem: Yesterday when I woke up, I noticed that my phone is hot that’s why I turn it off to cool it down.. Then after that I can’t turn it on anymore.. Even if I charged it, it’s not charging anymore.. What should I do? Solution: You should try cleaning the charging port of your phone using a can of compressed air then use a charging cord and wall charger that have been tested to work on another iPhone. If your phone still does not charge then this could already be a hardware related problem in which case you will need to bring you phone to a service center and have it checked.